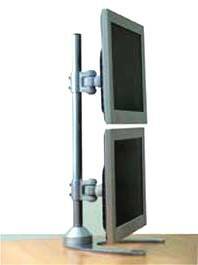 - Pole height: 28 "
- Allows vertical placement of 2 LCD monitors on a desk stand pole. - Pole can also be screwed directly onto a table or desk. This dual monitor vertical desk stand is ideal for saving space on a desk. 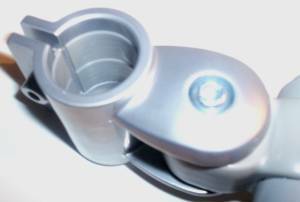 Inner clamp lining ensures smooth, tight & precise fit.